A department organizational chart usually shows the structure of a business division. You can see more templates in this article and click on any of them to see more insights. This org chart offers a standard type of department org chart. Roles from different teams are marked in various colors from red to blue. Moreover, the management level is at the top position as usual. Click here to free download the Org Chart Software. Feel free to use the rich built-in templates. The sales department directly brings revenue to an organization so it is quite significant in nearly every industry. However, how to efficiently build a sales team? What kind of position should you set? 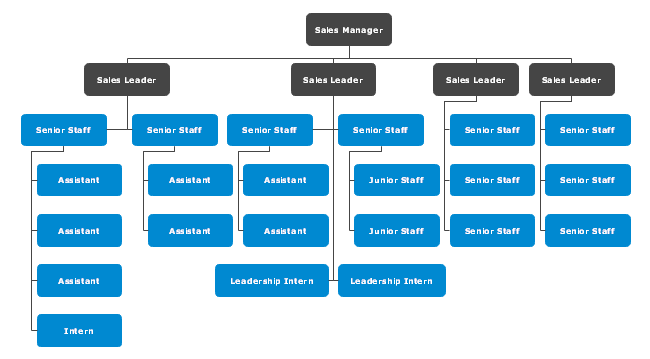 Just see this sales team org chart template for more information. Check out this human resource division org chart sample. You can apply it for small, middle-sized, or large-scale firms in many industries such as information technology, trade, service, public sector and so on. 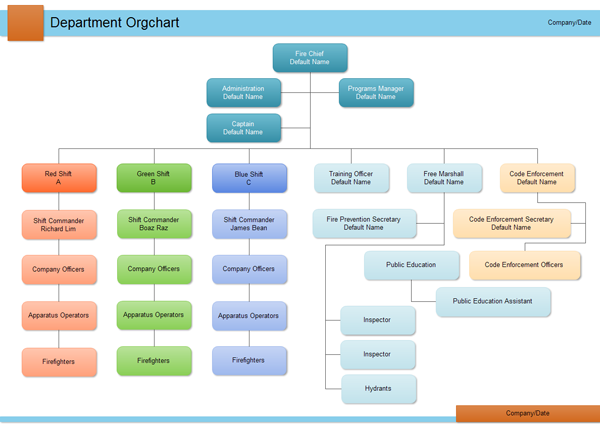 The following organizational chart examples represent more department organizational charts.